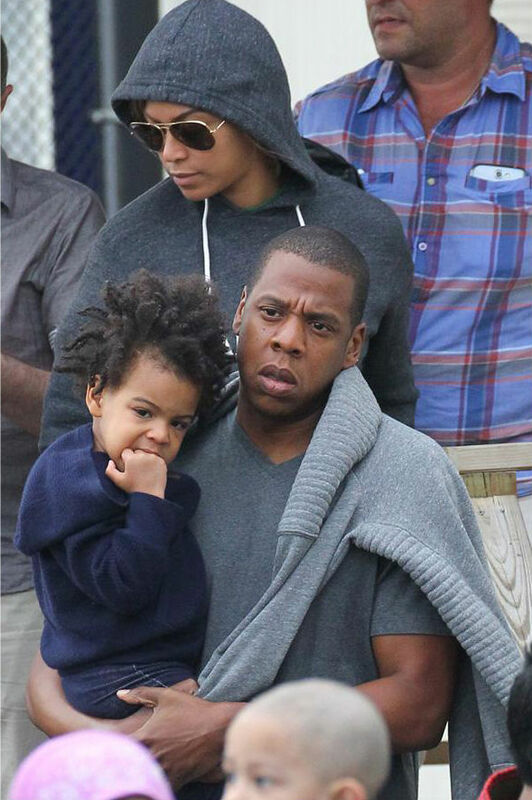 You Tried it: Petition Beyonce and Jay-Z to Comb Baby Blue Ivy’s Hair? The Carters are are looking a little travel weary, or as Mama Bey might say “I woke up like this.” As the crew arrived in NYC on Sunday, we see that Blue Ivy is really her father’s child, looking just like him. Here’s the thing though– why are we still talking about her hair. There’s this absolutely ridiculous Change.org petition about Blue’s “lack of moisture” and “lint balls.” Even reality stars Syleena Johnson, Tamar Braxton and KeKe Wyatt got in on the situation while on the Ryan Cameron Morning Show in Atlanta. 3 irrelevant Muppets @KeKeWyattSings, @TamarBraxtonHer & @Syleena_Johnson talking about a child's hair, who's worth more than ur existence. It’s been time to let this go. She is a child. If somebody told you what to do with yours, you’d be fighting mad, too. You have angered the #BeyHive, though. So you should not be surprised that they came for you. What do you think? Speak on it below!